Can’t walk the dog without passing a tree laden with the rich pickings, they’re dotted across the landscape waving a huge white flag shouting ‘over here’.. not just on the downs but in the parks and playing fields of the city too. I only started my Elder journey last Autumn looking for the berries to make cordial after a tip off from my neighbour. I’d left it too late, but found just enough in time to make one ‘brew’. It was delicious, so I had to try the flower out for size too. It certainly hasn’t disappointed. It’s so aromatic you really don’t need many flowers to make a litre or so of cordial, and it’s so easy. It’s great simply with water for a delicious summer thirst quencher, but from there I’ve made a delicious raspberry, lemon and elderflower drizzle cake, some elderflower ice cream, panna cotta, and last, but by no means least, elderflower gin (that’s still in production). Oh yes. 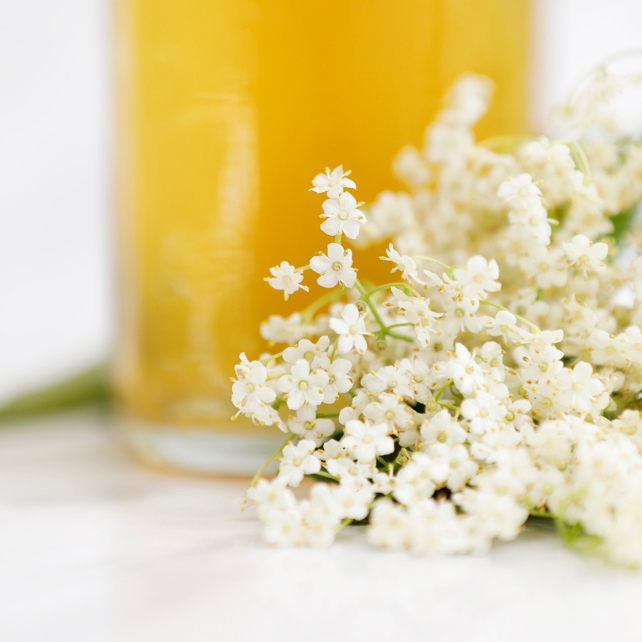 The flowers have passed their best now, but I do have a stash of elderflower cordial ice cubes in the freezer, so hopefully I’ll still be enjoying the taste of the summer as Autumn arrives, the berries are ripe, and I can start foraging for them all over again – only this time I know exactly where to find them.